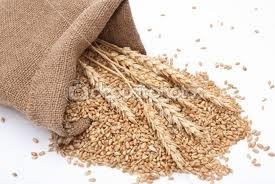 Hazrat Shibli (Rahmatullahi Alaihi) purchased some grain from the city. Thereafter he tied it in a cloth, placed it on his head and carried it to his village. When he reached home he opened the bundle. He saw that in the grain there was an ant running about in distress. Hazrat became extremely worried that perhaps the distress of the ant is due to being separated from a close associate. Perhaps its heart is uneasy due to the separation. Hazrat spent the entire night without a wink of sleep. The next morning he tied the cloth into a bundle again and travelled to the place where he had purchased the grain. When he reached the shop, he opened the bundle and released the ant. Can we ever imagine a person with such a heart of love and compassion causing pain and hurt to any human being? This entry was posted in Beauty & Truthfulness of Islam.., Da'wat & Tabligh, Fulfilling the Rights of People, Ihyaauddeen.co.za. Bookmark the permalink.